We constantly waste time quibbling about the name. But we know the enemy by now. (And yes, there are plenty of Muslims who want peace, but who are too scared to speak out, with some brave exceptions I mention below. As long as the West colludes with violent Islam, peaceful Muslims will be too scared to speak out. As long as we fail to stand for freedom, we will be supporting the worst of the worst, who always terrorize their own populations first. The single most shocking fact today is that the U.S. government, under President Obama, is constantly colluding with the enemy. Check out of the facts for yourself. Don’t take anybody’s word for it. Make your own informed decision. This is a question not of opinion, but of fact. 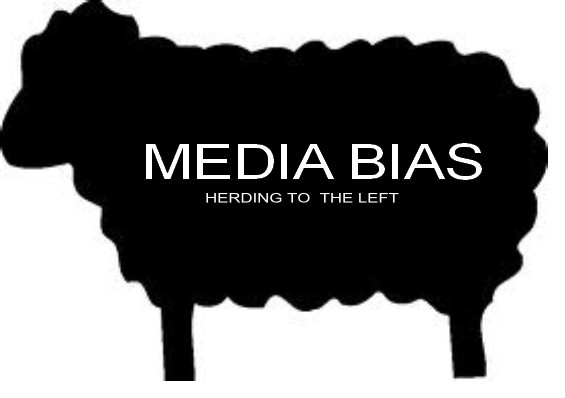 ” Today, twenty years after the fall of the Soviet Empire, the Left still runs the Western media. Such a monopoly guarantees massive corruption, uniform indoctrination, constant media lies, and toxic politics. It shuts the voters out of power. The result is near-suicidal policies, like Europe’s importation of forty million Muslims. The European Union is a monolith that enforces self-sabotaging policies on nations like the UK, precisely the way Obama wants to impose a centralized bureaucratic diktat in this country. Obama is an open Eurosocialist of the Third World (Leninist) variety. A single U.S. election victory is therefore only one small step toward reversing the new totalitarians. We can’t proclaim victory and walk away. The crumbling of the Soviet Union around 1990 gave us the illusion of victory, while the Left burrowed deeper and deeper into the vital organs of our society. Today the Left still has a stranglehold on our mainstream media and education, Karl Marx’s “Organs of Propaganda.” Marx was a third-rate philosopher and economist, but he was a first-rate agitator. Conquering the Organs of Propaganda really works. If conservatives do not regain control of American culture this election will only be a temporary rest in a headlong decline. ” When it comes to political “wars,” in spite of the meme perpetrated by most liberals, no one is more hawkish than modern liberals and the political party that they own, the Democrat Party. By and large since the 1960s, their efforts are summed up by one succinct and extremely accurate appellation: a war on the truth. It makes outcomes better than they otherwise would be. Point number one, the necessity of government, is true up to a point. There is arguably some limited set of functions that might better be performed jointly rather than separately. Extreme libertarians believe otherwise, suggesting there is virtually no role for government. Our Founders disagreed and provided for a quite limited role in the founding documents. The second two conditions, at least given what our government does today, are increasingly disputed by those who look at government objectively. If these latter two become widely accepted as untrue, then the role of government will be reduced dramatically. Government will do anything it can to prevent its reduction. It is this risk which leads to government desperation. It will do whatever it can to protect its privilege and plunder. ” Even under normal conditions government fudges numbers to support its actions and policies. Government always benefits from making conditions look better than they are. A true understanding of what government does, as opposed to what it pretends to do, would mean its end, at least in any form resembling its current size, configuration and responsibilities. 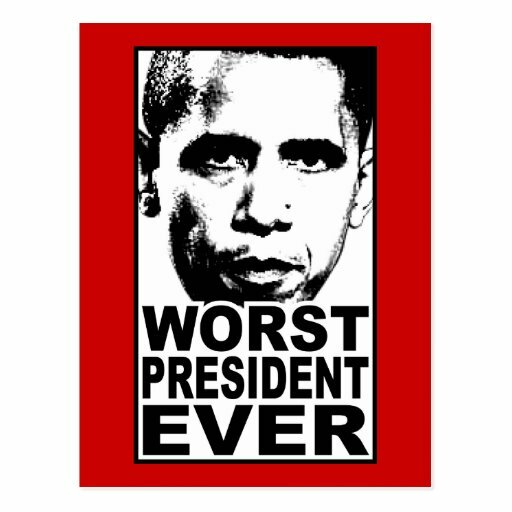 ” Barack Obama is destined to be the greatest flop in American presidential history. He is, in every sense of the word, an utter failure. 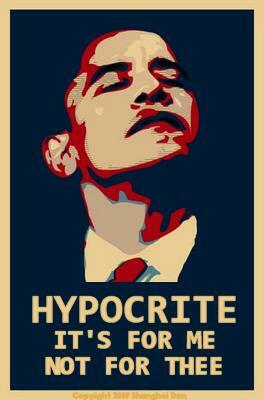 Consider first his signature achievement, Obamacare. Not only has Obama had to delay implementation, creating a perfect precedent for his Republican successor to do the same, but the law is more unpopular today than it has ever been according to all polling data. Pew Research reports that 55% of Americans disapprove of Obamacare. A clear plurality of Americans believe that they will be worse off because of Obamacare. CBS News lists the “strongly approve” of Obamacare at 16%, while “strongly disapprove” is a whopping 47%. Every polling organization, no matter how the question is worded, shows the same public disdain for this law. 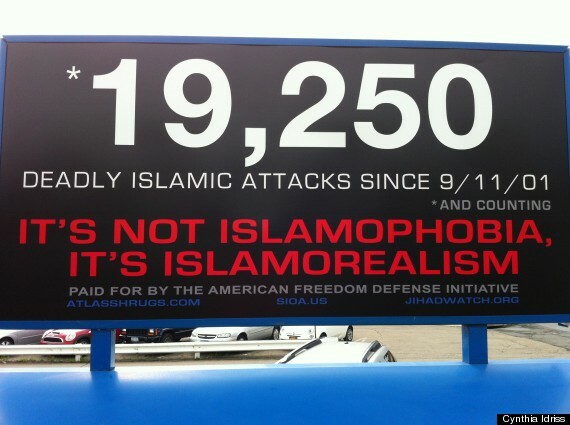 American Thinker Post Of The Day … America’s “Islamophobia” ? ” On a recent family trip to Santa Monica, an evening walk on the Third Avenue Promenade felt as if we had been dropped into a Middle Eastern country. 90% of the people strolling down the bustling walkways and lounging at the cafes were Muslim. Women were dressed in either burqas, niqabs, or hijabs and the few younger women who were not, were speaking Arabic. This experience followed a trip to Maine where we found ourselves encountering an unusually large number of Muslims on the streets of several cities and learned of the mini-Dearborn into which the Lewiston/Auburn area had been transformed. Portland almost resembled midtown Manhattan where the Muslim population has been growing exponentially over the past several years. The woman who wrote this totalitarian drivel is the worst combination of fake victimhood, political correctness (which itself is a PC euphemism for “that which offends the left”), and Muslims who seek to impose sharia law on non-Muslims…. ” There’s a wonderful book, A Confederacy of Dunces, the title of which refers to an epigraph from Jonathan Swift‘s essay, “Thoughts on Various Subjects, Moral and Diverting“: “When a true genius appears in the world, you may know him by this sign, that the dunces are all in confederacy against him.” I was reminded of it this week when the confederacy of dunces both here and in Great Britain seems to have linked arms against the genius of Western civilization and the long-suffering middle class which has for so long sustained it. Key players in the confederacy are perpetually offended feminists who find patriarchal tyranny lurking behind every pronoun and university library stack. This week we learned to our horror that in Rotherham, England over a 16-year period 1,400 children — mostly white girls — were raped by multiple Pakistani Moslem men and they were beaten, raped, abducted, drugged, threatened into compliance, and trafficked around Northern England. Worse, the situation was widely known to the police, the city council members, and countless child welfare workers, all of whom refused to do anything to bring the miscreants to justice and stop the abuse. The story has legs and reports are already coming in of similar stories in other towns and cities in England and elsewhere in Europe. If you searched the usual feminist websites for the story as it broke you’d not have heard of it. Why? Quite obviously because “feminists” in the US and UK are like the old line Communists’ “useful idiot” pawns, set off to do battle with make-believe opponents on the basis of lies while their allies do far worse to them. The bureaucrats in Rotherham were, we are told, afraid to act because the pervasive worldview of multiculturalism has so paralyzed their brains that they feared being called “racists” if they took action to protect the girls. A month or so ago I introduced the concept of Moral Autoimmune Disorders (MAIDs), a social strategy employed by free riders to turn cooperators’ altruistic punishment defense against themselves. In short, the free riders fool the cooperators into identifying their own group or even themselves as free riders, inducing them to direct their punishments upon themselves rather than the free riders. This gives the free riders free reign to exploit the assets and resources of the cooperators. ” A white teacher said he routinely overhears vulgar and racist comments from students at an all-black high school. I blame the black youths’ negative mindset on blacks in the civil rights exploitation business and white liberals with their stomach-turning bigotry of lowered expectations. We see snooty, arrogant, superior intellectual-sounding white liberal pundits and hosts all over TV touting their absurd narrative that blacks have a right to be angry in racist America and must be coddled. These liberal celebs followed certain steps and behaviors to achieve success. And yet, they claim that expecting blacks to follow the same road map to success is racist. Blacks should be repulsed by this liberal narrative, which implies that we are inferior. I want to scream, “How dare you lower the bar for me? I be as smart as any white person!” Sorry, I couldn’t resist. I have witnessed the same racist mindset in a white liberal couple who are longtime friends. They have had financial highs and lows in their efforts to run various businesses. They work hard and will take any job to pay their bills. Applying for government welfare is not on their radar. They employed horrible black employees, always making excuses for them, giving them a pass because they were black. I was amazed that they could not see the racism at the root of their low expectations, disguised as compassion. Stop The World, Barack Wants Off! ” Some have called it the worst summer ever. This may or may not include the summer when an asteroid crashed near the Yucatan peninsula, almost extinguishing life on earth. But, with Labor Day past and the kids going back to school, it’s time to reflect on the summer of 2014. But the controversy that caused the Twitterverse to explode was when Barack Obama showed up on TV … wearing a tan suit. (Best Headline of the summer-WaPo: The audacity of taupe) Maybe his clown suit was at the cleaners? More serious news outlets were concerned about Obama’s admission that he didn’t have a strategy to deal with ISIL. Obama didn’t have a strategy? This is news? Speaking of which, over the summer some in the media actually began to question Obama’s achievements in office. Although this may have happened only because their dictionaries finally ran out of superlatives to use. On the subject of ISIL, is its name ISIL, or ISIS, or IS? All have been used. To quote Bill Clinton, I guess it depends on what your definition of IS is. ” The definition of a maximalist is a “person who holds extreme views and is not prepared to compromise.” Although he accuses others of being maximalist saboteurs, there is no one who holds more “extreme views,” or is less “prepared to compromise” than Barack Obama. In an interview with a supporter and defender of progressive-style overreaching government Thomas Friedman of the New York Times, in a piece entitled “Obama on the World,” self-proclaimed moderate Barack Obama talked of Iraq, Putin, and Israel. We have so many things going for us right now as a country — from new energy resources to innovation to a growing economy — but we will never realize our full potential unless our two parties adopt the same outlook that we’re asking of Shiites, Sunnis and Kurds or Israelis and Palestinians: No victor, no vanquished and work together. Obama did not elaborate on whom, in America’s political system, he likens to ISIS, al Qaeda, Hezbollah or Hamas, so one can only guess. ” In a blog for today’s American Thinker, Joseph Smith says that National Rifle Association Executive Vice President Wayne LaPierre is getting the “Alinsky Treatment” from leftists in the media and elsewhere. He’s correct because as he said, they are attempting to freeze him as a/the target, personalize the gun issue, and demonize him for defending our right to bear arms–a right that’s guaranteed by our Constitution. Make no mistake: the Second Amendment to the Constitution is the real target of leftist fanatics in this country–not LaPierre and Pratt. They are merely the faces of the issue, and that’s why they are under attack. When you argue for a living, you can tell how an argument is going for you. The evidence and my gut both tell me that the liberals have lost control of the gun control narrative. Not for lack of trying – it was almost as if they were poised to leap into action across the political, media and cultural spectrum the second the next semi-human creep shot up another “gun free zone.” This was their big opening to shift the debate and now it’s closing. They’ve lost, and they are going nuts. situation is even worse when the politicians are the lawyers — or in other words, the Democratic Party. 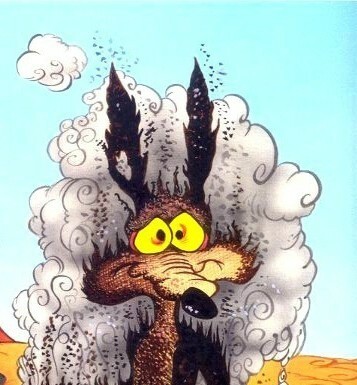 Clarice Feldman has a great piece about our “super genius” Wile E Coyote president , his continual exploding cigar moments and the desperate attempts by his toadies in the media to cover his a.. Even to the point of fabricating scandal out of whole cloth . See for example Chick-fil-A . Read the whole story . asked about those issues in the interview. Read Mattingly’s whole piece, wherein he addresses the whole “well, they may not have said it but it’s what they meant, so what’s the big deal?” angle. The big deal is simply this: the press put aside context and decided to paint this company as some radically-religious-gay-hating-entity and then let the forces of anger, hate and spite have their way with it. Wile E Coyote’s penchant for gaffe making when released from Telecaptivity and the MSM’s endless efforts at damage control that she dubs ” Boston Globing” . when he goes off teleprompter. Kevin Jackson at American Thinker offers this theory on the rise in mass shootings over the past decade or so . ” The evidence is pretty clear that we are having far more mass shooting these days than we had in the past. You might want to make the natural jump to guns, as that is what the media will tell us to do. Guns are easy to blame. Relatively easy to get, guns make good culprits. But if people were killing people by driving into crowds with Chevy Volts, I suspect the media would not blame the Volt. It should come as no surprise that the rise in mass killing sprees in America is in direct proportion to the rise in liberalism in American politics. The old America was about hope. Kids were taught that they could do anything, be anything. And though America has never been nor will ever be perfect, she has always found a way to allow everybody to thrive. All it took was a person willing to capture the American spirit, and have dogged determination to pursue the American Dream. Over the years, liberalism has destroyed that spirit. Today, liberalism offers an easy answer to everything, and government is that answer. Government will help you through all crises, even those it creates. Government should educate you, feed you, and make sure you have everything except the confidence to do for yourself — which is why government promises what even God doesn’t. Government promises you deliverance from everything, including yourself. the United States. Blacks came out for him in droves and voted for him at an astounding 96% level. Times, they were a-changin’, so to speak. African-American community. Now, almost four years later, it’s clear that Obama has done nothing to improve the way of life among blacks as a whole. In fact, statistics show that life has actually regressed for African-Americans under Obama. 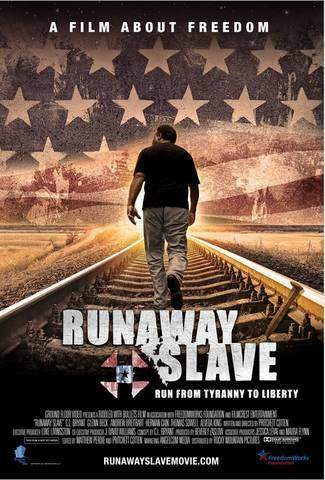 opportunity to preview the film in Bossier City, Louisiana, and I found the documentary thoroughly compelling. …. 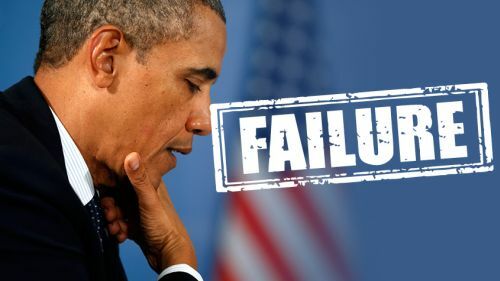 William L Gensert from the American Thinker explains why Obama’s laziness will prevent him from destroying us after all . You see, America is blessed. power of oil from terrorist nations, and their particular tyrannies will crumble, allowing peace to thrive. Well deserved praise for a 21st Century Bob Hope from the American Thinker . Sure , and we all know some folks , ostrich-like , that willfully remain ill-informed yet stubbornly insist on casting their ballot just the same . More from American Thinker on American Exceptionalism , this time taking a view to the British contribution in creating that exceptionalism . The American Thinker has offered up a host of articles honoring the American Experiment one of which you will find excerpted below . All are worth a read . commemorates the adoption of the Declaration of Independence. The issue that just won’t die , or should we say , one of the issues , along with the recently proven beyond a shadow of a doubt membership in the socialist ” New Party ” continues to gain traction at least in the blogosphere . These two issues highlight with blinding clarity the abdication of the MSM of their responsibility to properly vet any and all public figures . Face it , we (some of you anyway,we were never fooled) were sold a bill of goods . The man has never EARNED a single achievement that has been bestowed upon him . All has been GIVEN as some sort of entitlement . We are proud to hold to the belief that ” Dear Leader ” is now ENTITLED to retire and leave us to pick up the pieces of his disastrous reign of incompetence . “In my first American Thinker article on the Obama long-form birth-certificate forgery, “Oblivious to the Obvious,” published on April 10, I wrote: We start with the known facts: that (1) the “birth certificate” is fake, and (2) the president has said it’s his birth certificate. It is up to researchers to work backward from the known facts to establish why the president was unable or unwilling to release a genuine one.